The Library will be closed on Good Friday (19th April) and Easter Monday (22nd April) and will reopen at 8:30am on Tuesday 23rd April. The Library Office is not always staffed. Any reader requiring assistance, including registration of their University Card to borrow books for the first time, should contact the Senior Library Assistant before they come to the Library. All readers who are not current members of the University must arrange their visit a minimum of 48 hours in advance with the Senior Library Assistant. 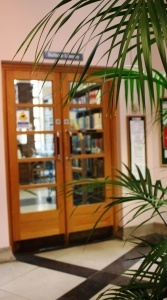 Access out of hours is highly restricted - ask the Senior Library Assistant for more information. For information on who the Balfour Library admits, and during which times, please see the Admissions page. View the University of Cambridge Term Dates here.